I started having issues in my 30’s. I noticed my skin getting splotchy and my periods became horribly painful and irregular. I had migraines and started gaining weight. I went to my doctor who said I was just getting older (again 30ish). The weight kept creeping on, the periods got worse. Again I asked my doctor , again it’s part of aging. This went on for years. I finally changed doctors and ended up with a hysterectomy, the doctor assured me this would fix things. It didn’t. A year after the hysterectomy I get my first ambulance ride from my doctors office to the ER. They thought it was my appendix . The ER found nothing so they sent me home. I have sever nausea I , body shaking chills and sever side pains. 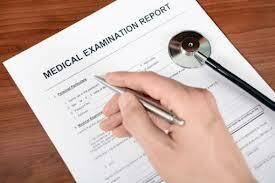 They sent me to a gastroenterologist who ran tons of test and found nothing. 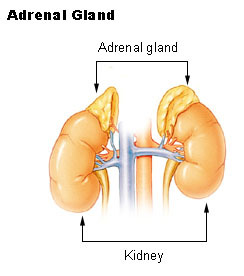 BUT as they were reviewing my latest test results by phone the mentioned that my adrenal cyst hadn’t grown any. 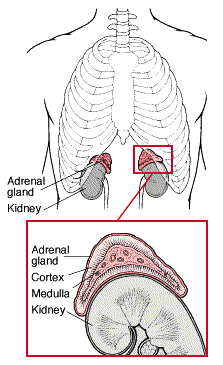 I said what adrenal cyst? They said throne that was in the ER report. This had never been disclosed to me. They referred me to a urologist? I skipped the urologist and looked for a endocrinologist. My symptoms had multiplied in this time. I now had a fuzzy face, fuzzy vision, more weight and stomach tenderness to the point it hurt to wear some clothes. I saw my endocrinologist and he ran a ton of test and came back with Cushings. I just finished my second MRI, this time they are looking for a pituitary tumor. 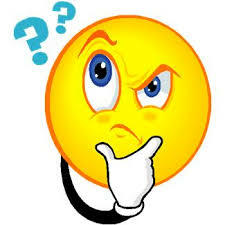 I am waiting for results to see if I have the pituitary issue as well as the adrenal gland cyst. Apparently my adrenal cyst was large enough to cause cancer concerns , but luckily doesn’t act like cancer. Happy that! I am now in my 40’s and it has taken eight years to get a diagnosis or someone to take me seriously! So don’t take NO for an answer! Diagnosed with Cushing’s Syndrome after a tumor was discovered on my adrenal gland. I was lucky to have a kidney stone (never thought I’d say that! ) prompting an xray and scan. That was when the tumor was discovered. My surgeon quickly recognized other signs that I had this, and began running several tests.He also referred me to an endocrinologist who ran additional tests. All tests confirm I was over producing cortisol and my ACTH was fully suppressed. I do not know where to begin. For many years I have been struggling with these symptoms. I have proximal weakness, intolerance to stress, blood pressure fluctuations, hyperpigmentation, reactive hypoglycemia, sweating, severe dehydration, very bad confusion, vision, memory problems, physical body changes (hump, bruises), carb intolerance, and inability to exercise. My endocrinologist did a workup for Cushing’s disease and the midnight saliva test was high. She brushed it off as “stress”. I am seeing a doctor now that says I have POTS and Dysautonomia. My doctor says I have inappropriate adrenaline rushes. My body is falling apart because I haven’t found a doctor who will take my symptoms and test results serious. I would like to talk to others who are having trouble getting diagnosed and also to those who have gotten diagnosed who have a good doctor. Reading the bios and other information online about Cushings has me very concerned for my 15 year old daughter. At 5 she developed strong body odor and started rapidly gaining weight. She also grew extremely fast. She was the biggest kid in her kindergarten. We have a very tall family so I did not think the height was abnormal but I did ask the doctor about her body odor and told the doctor I was concerned she was starting puberty at 5. The doctor told me everything was fine. I noticed my daughter had tons of pubic hair at age 7 and I took her to the doctor. The doctor did think this abnormal, she was also already developing breasts. They did a lot of tests and told me her bone age was 3 years advanced. I cannot remember what they said her diagnosis was but basically early puberty that they said would stunt her growth. She is presently 15 and 5′ 9″. My daughter’s weight remained too high but relatively steady until about two years ago. She has gained 75lbs in the last two years, her hair is falling out, she is having to shave her face because the sides of her face are completely covered in hair, she constantly complains of aching joints and now in the last 9 months she has developed a huge fatty lump on her back just below her neck. I have mentioned some of these symptoms to the doctor in the past but the doctor blames the symptoms on my daughter’s weight. Her hair loss the doctor blames on stress. My daughter is not stressed. She has a very laid back personality. I am taking my daughter back to the doctor on Monday and am going to insist she check my daughter’s cortisol levels. Does anyone know of a good doctor in Colorado? What tests should I request from her doctor? Does this sound like Cushings to anyone else? Thanks for any help. After six years of trying to get pregnant I finally decided to see an endocrinologist who suggested I might have a tumor on my adrenal glands and prescribed by bromocriptine to make it shrink. Two years later I was able to carry a pregnancy to term and delivered a healthy baby girl. After delivery I was never able to breast feed, kept gaining weight, had horrible stretch marks and odd bruising. One year later I still had not had my period so I went to my OB-GYN. She shot me full of progesterone and estrogen, which did nothing so I went back to the endocrinologist. That day my BP was 173/121 and I weighed 180lbs (I’m 5’4″). On first sight he diagnosed me with Cushing’s Syndrome and after a series of tests over many months it was confirmed. On November 25, 2011 I had surgery to remove the macro adenoma that had completely consumed my pituitary gland. Ever since then my immune system has been weak and I’m tired all the time. Despite losing weight and exercising and eating right I just can’t seem to feel good. I take .88 Levothyroxine, 2.5 prednisone, 2 doses of desmopressin and hormone replacement. Most days I wish I had never had the surgery. But, through it all I have done my best to live. 6 weeks after my surgery I went back to grad school and graduated on-time with honors, but since then I haven’t been able to keep a job outside of the home because I get sick if someone sneezes within 100 yards of me, and lets not even talk about the stomach bug. I’ve been hospitalized twice and now carry injections of dexomethozine and anti-nausea meds with me everywhere I go. I’ve told my doctor about my fatigue and he refuses to prescribe Growth Hormone, but I’ve learned to suffer through it.